Yes, three lashes have been meted out for simply typing the word “enduro.” Again. But -as we’ve noted repeatedly- the discipline of the moment has given manufacturers all the justification that they need to build products for the sort of riding most of us do enjoy: riding up hills and then back down. 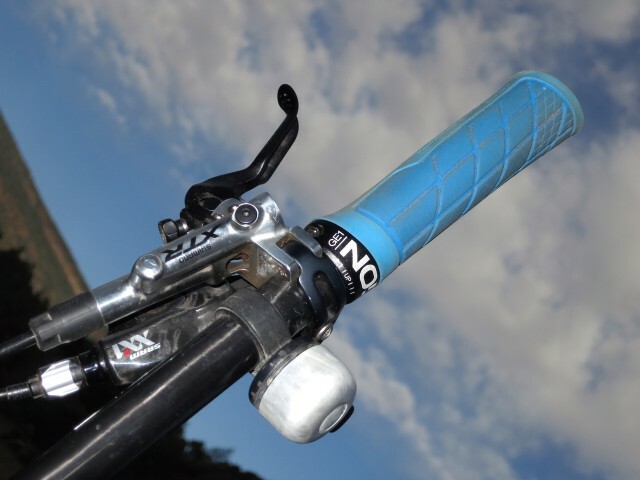 But an enduro-optimised grip? Well, yes. 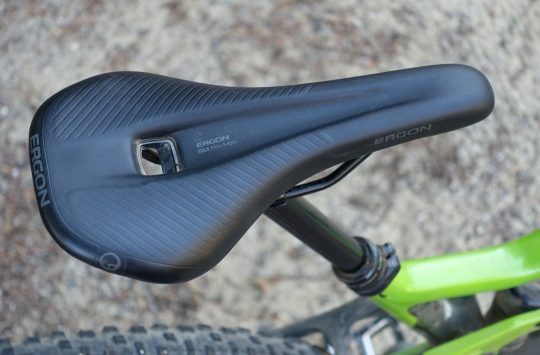 By setting aside their trademark wing, moving the grip’s single clamp inboard, and subtle-ly shaping the two rubber compounds, Ergon has made their best grip yet for technical riding. 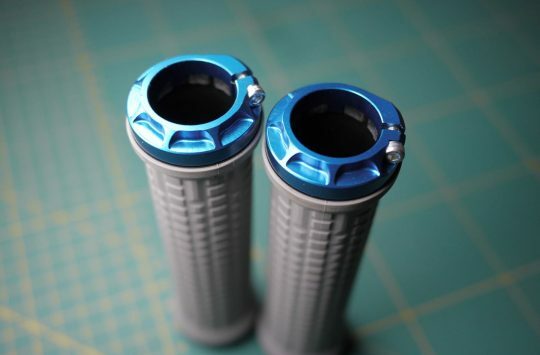 A clamp-free outer allows riders to take full advantage of those super-wide ‘bars while the low-profile gripper doesn’t interfere with shifting or one-finger braking- even on stubby Shimano levers. Those could use a cleaning, couldn’t they? The GE1s’ nicest feature may well be the little ridge that nestles under the first knuckle of the index finger, helping the hands find ‘home’ quickly and easily. It’s a small thing, but a nice one. With only a moderate outside diameter, there isn’t a whole lot of rubber to damp vibration, though, which may rule them out for the ‘out all day’ crowd. (The forthcoming GA2 is a squishier grip in a similar vein.) 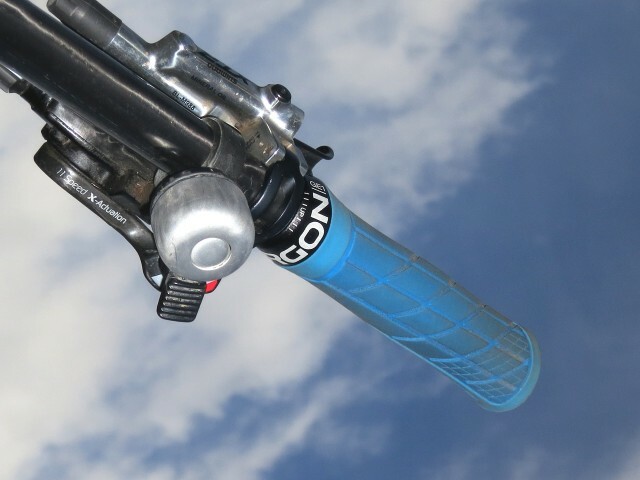 Several less-blue colours are also available to coordinate with most bikes and temperaments. 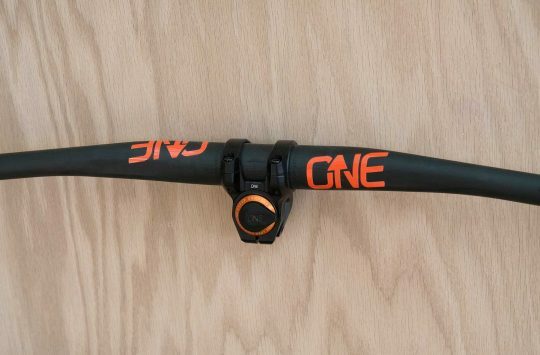 Overall: Despite the trendy application, the GE1s’ considered shape and inboard clamp provide a good balance of comfort and control for aggressive riding. Not a whole lot of padding for longer days, however.